The Acataleptic Clause claims that we are intrinsically unable to understand the Darkness . . . . [Suggesting] that we should stop worrying about the nature of the Darkness and focus on resisting and defeating it. Grimoire Card on The Darkness, apparently explaining why Destiny is really only a shooter with no in-game story records! The Traveler over the last human enclave. The game starts with a cut scene showing man meeting The Traveler, a terraforming moon-like intelligence of some sort, for the first time. This happens on mars at an undisclosed time, but it’s about 700 years prior to the in-game present, and afterwards humans find that both their intelligence and life spans are increased. This begins humanity’s Golden Age. The Traveler isn’t very communicative and humanity knows nothing much about him (or her, or it). There is a Speaker that is the mouth piece of The Traveler, but we don’t learn much from him either, and in any case, The Traveler is currently dormant. A few people question the benevolence of The Traveler in starting our Golden Age, saying he had an ulterior motive for helping us—that he knew the Darkness was coming after him and that he only wanted to use us to fight for him. When the forces of the Darkness came, it was the beginning of humanity’s Collapse, followed by a Dark Age. ~2051 – ?? Golden Age. People gain intelligence and life span just by being around Traveler. Colonize the terraformed planets. ?? EXOs built. These are humanoid war machines, but if there was no war, why were they built? Were they built at the first attacks by the Darkness? Or, since they have human emotion and intellect, were they made to hold a human’s memory first, and then used in war?? ?? The Darkness attacks via its minions. The Vex turn Mercury into a machine “in days.” Collapse begins. ?? The Awoken appear. Humans that fled the collapse are altered, having been changed by a unplanned barrage of light and dark forces. ??-?? “Dark Ages.” Most humans killed and the rest scattered. Eventually, rumor of a safe haven under the location of the Traveler causes humans, some Awoken, and Exos to migrate there. ??-?? The City, under Traveler, founded and built. ?? Faction Wars, current government established. Groups vied for leadership. War developed and guardians stopped it. Government that came out of it is a combination of the Consensus, the Speaker, and the Vanguard, with the three existing Factions both watching and interacting. ?? Battle of Twilight Gap. The Fallen attacked the outskirts of the city. A great many guardians were killed, so in order to prepare for further attacks, the Crucible was founded. ~2755 Present time in game. You are resurrected after being dead “a very long time,” presumably for centuries. You probably died during the collapse. You are identified as someone who can wield light as a weapon – a new way the Traveler is helping humanity against the next onslaught by the Darkness and its minions. Jump to the in-game present (no date is ever provided) and you’re being resurrected from the dead by a tiny hovering mechanical intelligence referred to as your “Ghost” (and it sort-of really is your essence somehow, since it is the means by which you respawn). You were in a car amongst many others that, you can guess, were attempting to leave the area because of the attack on Earth. You no longer have your personal memories, for some reason, so you don’t know how long you’ve been dead. But it’s been “centuries,” you find. Players are called to duty as Guardians (soldiers) by the Traveler through his Ghosts, who locate and choose persons who can wield the Traveler’s light as a weapon (in what Bungie has described as a “timeless” war. Talk about a nightmare). If you know little of The Traveler, you know even less of his enemy, the Darkness, who is now your enemy. You come to find out that during the Collapse humans were driven from the terraformed planets that they colonized, and that there are actually very few humans left. They are pretty much settled in one city that is underneath the sleeping Traveler. You live in a tower that is so tall that you sort-of see “eye-to-eye” with The Traveler; this provides a fun view but seems very unrealistic. You are either a human, a changed human species called Awoken, or a mechanical human called Exo. Regarding Exos, how and when they were made has been “lost through time.” As mentioned earlier, this excuse in Destiny is lame since most other technical information has not been lost. In any case, whichever “race” you are, you don’t seem to worship anything. You do not worship The Traveler, and if Guardians have any spiritual belief at all, it’s pretty much kept private. This has bearing on the story since all kinds of spiritual terminology and elements are actually used in the in-game story, but more so in the online texts. Also, since antagonists with murderous minds worship, the game seems to imply that this idea/activity is bad. How the Awoken came into being is also a mystery. However, they descended from humans who were fleeing the Collapse and who now live at the Reef, which is to say the asteroid belt this side of Jupiter. It has been conjectured that the Traveler let out a huge blast of light in a last-ditch effort to drive back the Darkness, and in doing so those escaping humans got a huge dose of it. Since other earth-bound humans did too, without changing, these escaping people were changed because of their proximity to the dark, or Darkness. They are haughty and aloof, not even welcoming Awoken who had gone back to Earth. They appear to be neutral (note “appear”). The Speaker for The Traveler lets us know that the dangerously “play both sides” (Eye of a Gatelord card). The game unfolds as you do one mission after another on Earth, then on the Moon, then Venus, and finally Mars. You discover that forces bent on the Traveler’s destruction have arrived on these celestial bodies. Though it is said that the Darkness—which is the Traveler’s true nemesis—is empowering all these enemies, other information available so far doesn’t seem to confirm this. At most, the Darkness seems to have direct influence on one enemy, the Hive, with perhaps indirect manipulation of the other two (the Vex and the Cabal); or it may be better understood as “willing” vs. “unwilling” influence. Hopefully we’ll find out more with future content. Your missions involve finding out more about these enemies, destroying some, gathering other types of data, etc. Along the way you learn a little, very little, about each enemy. First is the Fallen, which you encounter on Earth (though you also find them scavenging and fighting on the Moon and on Venus). Their societal order seems primitive and brutish, being run by violently competitive clans called “houses.” The Fallen on Earth are from two houses, the Devils and the Kings. They depend on large hovering purple spheres, called servitors, for life. The Fallen need ether and the servitors produce it. Naturally, eliminating servitors is a priority. They have priests and therefore some form of religion. We know that at least some Fallen know of The Darkness, since one of them wrote of how The Darkness is worthy of respect and all love because it can’t be stolen from. Next, you find the undead Hive. They travel throughout space and the moon is at least a major base; they reside at the Hellmouth and the World’s Grave. There is variety to the hive, with the acolytes looking like Bozo the Clown gone down nightmare lane. There are hideous “female wizards,” and giant ogres that shoot a huge purple beam of light out of their nondescript “heads.” Hive are religious and worship, though it is all of the death and darkness variety. They seem to have been around during the Collapse centuries ago, and have been “seeding” the Earth in the meantime. Indeed, upon exploring the crannies of the Earth, you find Hive. They are bent on conquering Earth since only then, they believe, will their god Oryx (one of a pantheon) return. Two Vex, a Goblin and a Hydra. The Vex are encountered on Venus, though some are found on Mars. A very ancient race, the Vex seem far superior to humans. Well, at least technologically. They built the Venus ruins “billions” of years before man. They are mostly machine and communicate like a wireless computer. 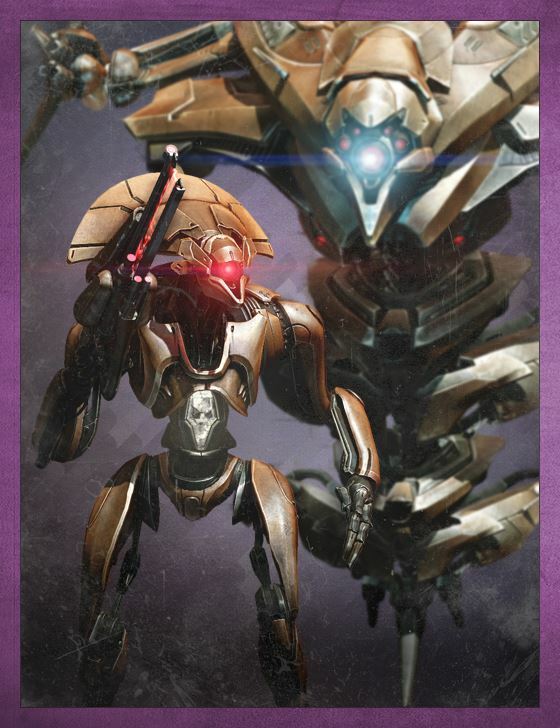 The Vex have a small amount of biological matter that animates them. They can travel effortlessly to-and-from star systems, and even through time. One wonders why they are bothering with The Traveler and his small number of fighters at all. At some point the Vex came under the influence of the Darkness, which they now worship. It seems likely that the Vex came into human territory only at the behest of the thing they now worship. In an in-game cut scene, the Exo Stranger says that they are so evil that they despise other evil. Whoa. But really? In-game, this does not become apparent. They are mysterious, yes, but the Hive seem more evil; we know for sure that the Hive want to eliminate us, but no such word comes from the Vex. And, if they become more evil after coming under the command of the Darkness, wouldn’t one say that the Darkness is the evil thing that despises other evil? 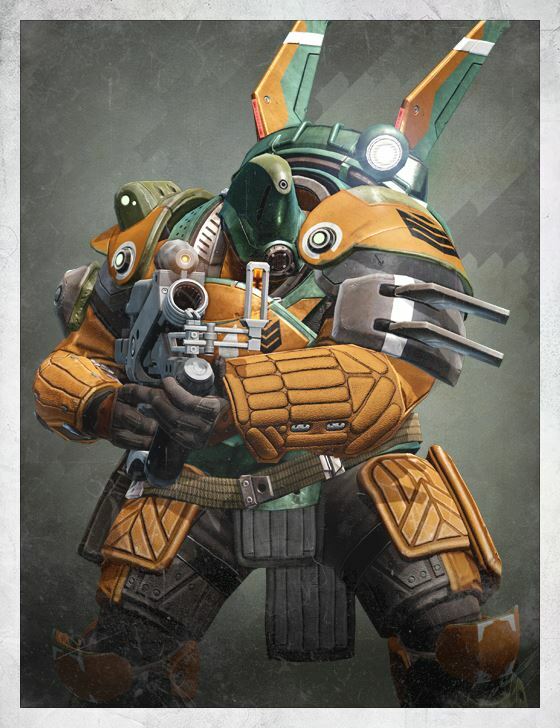 A Cabal Centurion, or “bunny man.” The Cabal jump around like slow-moving popcorn, making them fun targets in Destiny. The Cabal seem like an add-on adversary only. They had laid hold of some important Vex technology on Mars, yes, but they have lost contact with their very distant superiors and are just hanging around. They simply fight the Vex and Guardians. In game, they give the impression of being powerful opportunists, but through the Grimoire Cards we learn that they are stuck, desperate, and had run from something more powerful than them. The climax of the story is important (big surprise), but there is conflicting information about it. The last mission is to fight off the dark heart in the Black Garden. In-game, you’re not told too much, basically just to go get rid of that thing since its harming The Traveler. Important to consider are the characteristics of the Black Garden before and after the battle. Before you defeat the dark heart the garden is inside a planet, gotten to by using a Vex transport gate (these transport through time and space); the gate is on Mars and you get the impression that you’re inside Mars, though the architecture is Vex (seen on Venus). After the battle, your ghost says that “we’re on Mars.” Since Destiny has you continue play on the planets, including the ability to do that mission over, the Black Garden is NOT shown in its area or form “on” Mars. There is more information about the Black Garden, ambiguous though it is, provided with the Grimoire Cards; the next section discusses it more fully, too. The first expansion of the game, The Dark Below, added content relating to the Hive. As mentioned earlier, the Hive have been preparing the way for Oryx to come back and occupy Earth. 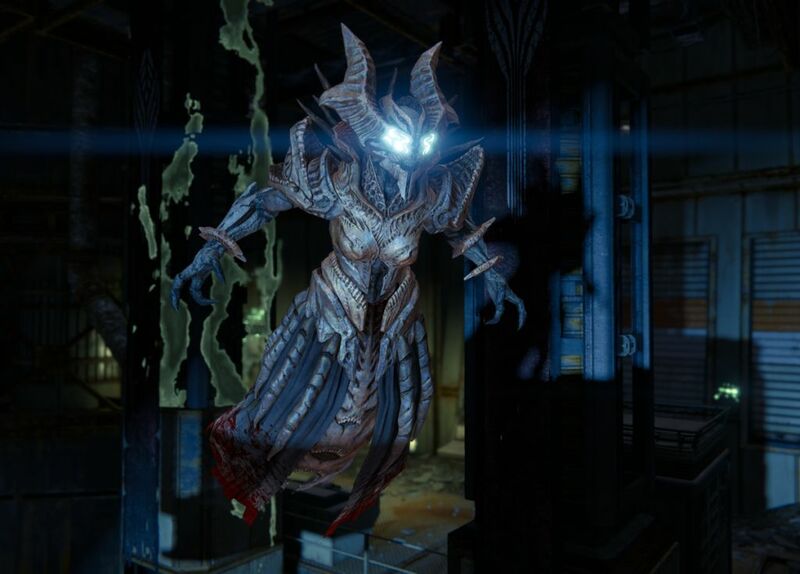 Crota is Oryx’s “son,” and Crota intends on invading Earth in order for Oryx to return. You and a crew of guardians are to destroy Crota and stop the genocidal plans of the Hive. Except for the word “fiery,” the quote above could be mistaken for a description of Destiny instead of Bungie’s previous franchise, Halo. Besides the story skeleton, some of Destiny’s in-game names indicate that it was influenced by at least some of the same things as Halo. One of these influences is the book Armor by John Steakley. Since the game’s content should stand on its own I did not use that book here, but provided the reference for the reader. What can be gleaned about the story, its meaning and message(s) (if any), from the terminology used in the game and in the Grimoire Cards? One idea encountered again and again is that of symmetry and balance, which is an Eastern belief; in Christianity, God and his faithful are more than His opponents. Good and evil, life itself, is not symmetrical, and really, not much in life appears to be symmetrical; the effort to maintain balance in anything is difficult, so it doesn’t seem like the “natural” condition. A current that runs through the details is that of the Darkness’ use of deception in order to raise doubt about the Light. Through doubt, corruption may come to humanoid or ghost, even a wholesale switching of sides may result. Otherwise, more specific topics that come out of the story and which are discussed below are the occult, atheisim/evolutionism, Hinduism, and Christianity. 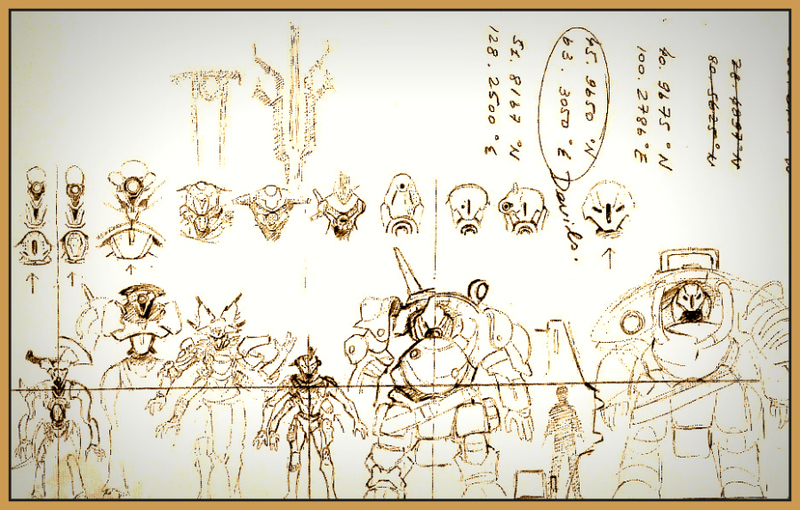 An apparently “older” Awoken image; note the glowing eyes of this newer human species. Most significant is the use of occult terms with the matriarchal and neutral Awoken. The Queen has witches as advisors and attendants, and mechanical black crows are used for various purposes. Another use is in the odd choice of name for the Grimoire Cards themselves. “Grimoire” means a book of magical spells, with an emphasis on demon summoning. The cards do not contain spells, only game and story information. These references to the occult may not mean much at all, being standard fare in video games. I think they do have meaning, however. Over and over again in our culture today one comes across references to magic being neutral, and so, like science, it can be put to either good or bad use, depending on the choices of the person using it (ie, the Harry Potter series, Dragon Age: Inquisition, etc.) . The power, wherever it comes from, is considered neutral, like gravity or electricity. But this kind of power is spiritual and none of it is neutral. 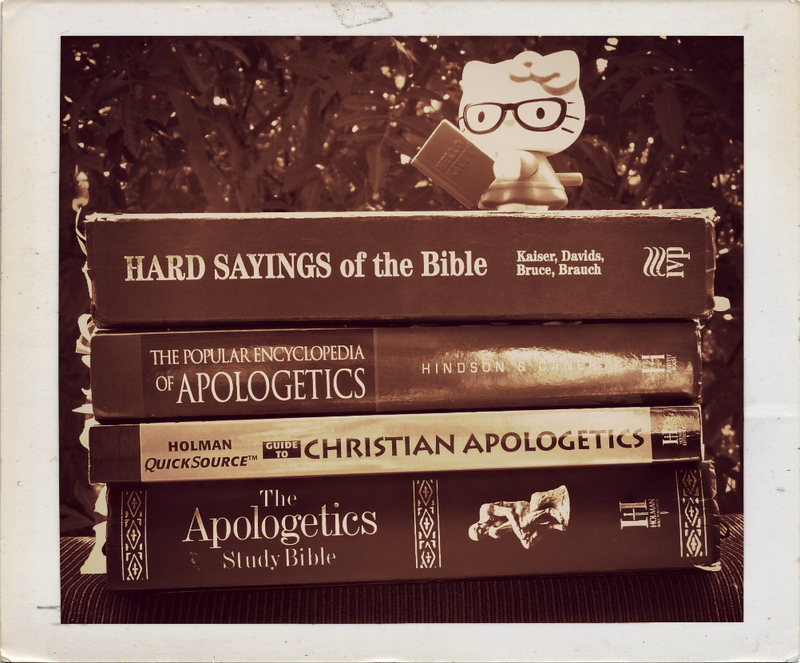 In the Judeo-Christian view, everything originally came from God, including what may be considered spiritual power. When a part of God’s creation rebelled against Him they of course took their own power with them, it not being separate from themselves. When you have spiritual power given to you, then, it is either coming from God and His obedient, or from those who oppose Him. I write all this because a main, though mysterious, character in-game, The Exo Stranger, makes this commentary on the witch-filled, “neutral,” Awoken: [They live] Out there wavering between the Light and the Dark. A side should always be taken, little light [referring to the Ghost]. Even if it’s the wrong side. This is not unlike what Christ told the church in Laodicea (Revelation 3:15-16): I know your deeds, that you are neither cold nor hot. I wish you were either one or the other! So, because you are lukewarm—neither hot nor cold—I am about to spit you out of my mouth. 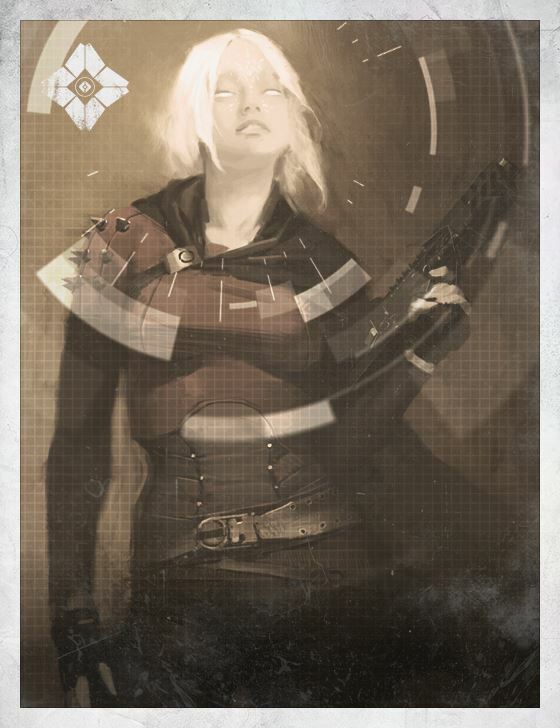 While the Queen is not in-game now, her representative did appear for a time at the Tower as a quest giver and vendor, seemingly indicating that the Awoken were no longer truly neutral. This is the philosophy of the Darkness stated clearly, with veins of it hinted at in other parts of the story details. Toland’s thoughts had become corrupted by the Darkness. Destiny’s Toland may be a reference to John Toland, an Enlightenment era philosopher who went from being a Christian to a Pantheist to an Atheist. There are many Hindu terms and ideas in the Grimoire Cards, and it almost seems like this game is pushing for one Hindu belief over another. “Pujari,” the Hindu term for temple priest, is brought up twice. One time it is a name of a person who has a significant vision of the Black Garden (discussed in the next section), and it comes up again as a theory about the Darkness. There are six summarized theories about the Darkness presented on its Grimoire Card, with the Pujari saying that it is evil actualized, a force with physical and moral presence (which is not orthodox Hindu belief), but a poison from within. The “poison from within” part does not hold water after reading the other story details, since an aspect of the Darkness was something physically detected coming into our solar system (Ghost Fragment: Darkness). The Pujari theory would certainly fit if one accepted the point of view that The Traveler, with evil intent, was the purposeful source of the collapse. Another theory on the darkness is that of Ulan-Tan, which, as far as I could tell at the time of this writing, did not have a relevant real-life correspondence. Ulan-tan said that the darkness is a cosmic balance and since there needs to be symmetry, we need to help the Traveler now just as he had helped us so much. In the Grimoire Card on The Chamber of Night, it is said that Ulan-Tan was right about the Light, that it was all connected through space and time. This would seem to imply that he is also right about the darkness. Allusions, whether intended or not, to the Hindu gods can be seen in the Fallen. The Fallen have four arms, as do many Hindu gods. The lowest Fallen, the Dreg, have their second set stunted somehow until they move up in the hierarchy (and two armed humans are lower than the gods). In Ghost Fragment: Fallen 2 we read a Dreg’s list of things he had scrounged and stolen. One item was a written note from another dead Dreg. The note conveyed how much he respected the dark because it cannot be stolen from. It deserved his love because the dark was stronger than he was. At the end of the list is this, “I know what no one else knows and now I am a marvel with ten thousand arms.” These creatures’ lives are given to taking from others, so having more arms and hands makes sense; it can be symbolic of taking, just as a large open mouth can be symbolic of harmful (even malicious), unending appetite. The saying could also refer to the Dreg’s view of The Darkness, or what The Darkness told the Fallen of itself. That Dreg (perhaps representing the Fallen) came to worship the Darkness, as did the Vex. There are other references to Eastern religion very much worth mentioning, though they can’t be dug deeply into here. Another Hindu-related theory of the Darkness, Monist (monism = “all is one”), speaks of cosmic balance; this theory seems to tie in with ideas about Vex aspirations. Reference to life being a divine spark each being has is a Hindu idea, but that there is a real being desiring to devour it (see especially the Ghost Fragments on The Thorn), seems to deny Eastern thought on the nature of evil. In its details, Destiny proclaims the dualistic view of good and evil, with one bent on the elimination of the other, and not the traditional relativistic Hindu view. There is even figurative reference to the ego via the Ahamkara (ego in Hindu) dragons that were slain in the past . . . apparently; the “selves” of the guardians appear to be gone, but perhaps they’re really not. The comment from The Stranger seems Christian, as opposed to Hindu, where every single thing you do in the present life will determine who you are in your next reincarnated life. In the Christian view, once a person accepts God for who He is and as savior, He wipes away all sin and makes a person new. However, a person is always that person and doesn’t lose his or her memories, as happens with reincarnation and in Destiny; perhaps the Ahamkaras will indeed be found again. Few specifically Christian terms are found in Destiny, so when a significant reference shows up in the legend of The Black Garden, it was surprising. The game culminates in your guardian finding the Black Garden and destroying the abomination from the Darkness found in it. The use of the term “black” in the Garden’s name makes one assume that the dark heart found there is simply part of the Garden, but this is not necessarily the case. I am reminded of an aspect of the Dragon Age video game series. In that game, another dimension from our reality, called The Fade, had a city in it. Originally it was The Golden City, but power hungry intruders came there and corrupted it, turning it into The Black City. Based on a vision, discussed below, and other information, one can speculate that the black heart in the garden is an intruder. The garden contains Vex architecture, but the Vex that worship the dark heart “found” it there. It seems that the Vex or a precursor to the Vex made the garden, and at some point the darkness entered it, and the Vex returned and found it there. Not being able to figure it out, the Vex decided to worship it and subsequently became corrupted by it. The Black Garden may be an allusion to the garden of creation, where a darkness entered it, seeking to spread its influence from there to all of time and space. This is apparently what the Darkness is attempting to do from this garden. In the Garden of Eden in the Judeo-Christian scriptures, the sly fallen angel Satan tempted Adam and Eve to sin, and with that accomplished, sin and evil entered our whole world; God had ordered curses but also told of the future saving messiah, and then He shut the garden off. In Destiny’s lore, a man named Pujari has a vision that takes place in the Black Garden; his reference to symmetry in creation is esoteric. The Garden is beautiful, with red flowers all over (in-game, their petals float up into the sky), and it moves into the past and the future. Its flowers will bloom forever. He went through time and saw the new gardeners that came in with ships (probably referring to the Vex). The shadows of the flowers were words, words Pujari wouldn’t share. He walked a path, and at the end of the path was a flower, a flower shaped like a ghost. Upon trying to pluck the flower it, cut Pujari’s hand with a thorn. The ghost told Pujari that even though he bled light from the cut, he was dead; he was made from a dead power and made in the shape of the dead. The ghost went further, saying Pujari would always kill and so he didn’t belong in the Garden, which is a place of life. Pujari protested, saying The Traveler is life, and that the ghost was of the dark and being deceptive. 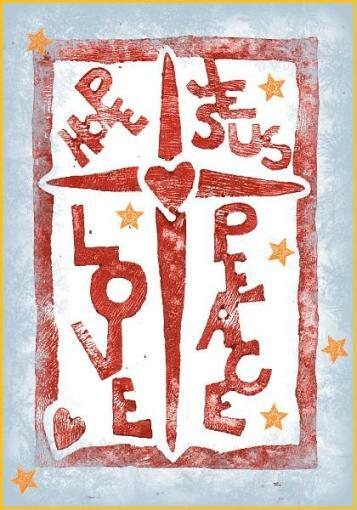 But upon looking around, seeing “trees [that] wept sap like blood or wine “–a clear reference to the saving blood of Christ and the Christian symbol of it–he doubted. Pujari then tells us that after his ghost had resurrected him, he had a cut on his hand that never healed. In this vision the ghost can be taken as a Satan figure, in the Garden where he really didn’t belong. He tempts a person with things that are true (Pujari was indeed dead before, so he can be said to have the shape of a dead thing), things that are twisted (The Traveler appears dead and the Darkness wants him dead, but he is not dead), and things that are not true (Pujari is obviously not dead now). Pujari sees the symbols of life in the Garden, the sap like blood and wine, and he has doubts. Why? Why does he let the ghost so easily sway him, especially when his initial reaction was correct? My take on it is that Pujari equated the ghost’s prior presence in the Garden with the symbols of life, and therefore his own presence is only a visit. Since he and his “creator” (The Traveler who is the source of Light) aren’t there, maybe The Traveler is false. 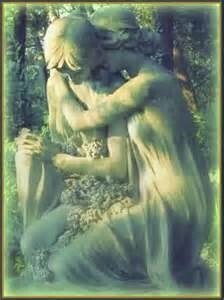 But as the darkness was found in the Garden, it seems to have moved in sometime after the Garden’s creation. The Garden is eternal, but who belongs there and who is telling the truth? The use of “thorn” points us to another story about the corruption and eventual falling into darkness of a heroic guardian, Dredgen Yor. This story helps us understand the vision and what’s going on. 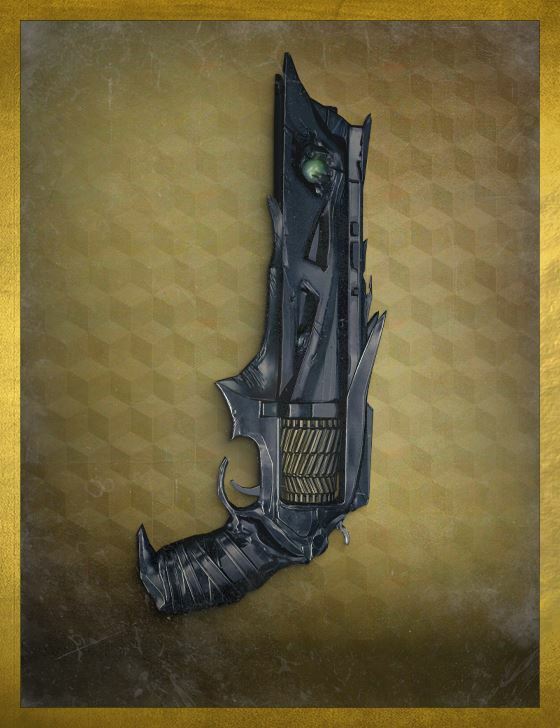 Dredgen’s story is found in the Grimoire Cards dealing with The Thorn (weapon). In short, good and heroic and beloved as he was, Yor began to have doubts. He let the doubts fester, and eventually he let the Dark take him. His body looked the same but Yor was gone; by all outward appearances, though, it seems the same as what happens to guardians. But unlike those “forged in light,” the dark Yor and his gun killed for the pleasure of taking life; the Darkness is hungry and what it devours is life and light. The ghost in the Garden told Pujari that he’d always kill, and being a soldier, Pujari began to doubt his actions and thus the motives and power behind them. But those with the Darkness shoot first out of the complete desire to destroy (see the quite disturbing transcript in Ghost Fragment: Thorn 2, The Bloom), whereas Pujari and other guardians kill defensively in order to survive. The ghost flipped the truth around, actually describing those with the Darkness. A non-game meaning can possibly be taken from the vision, relating to religious belief and salvation. And that is that real world Pujari, who as Hindu temple priests worship Hindu gods and lead others to do so, don’t belong in God’s garden. 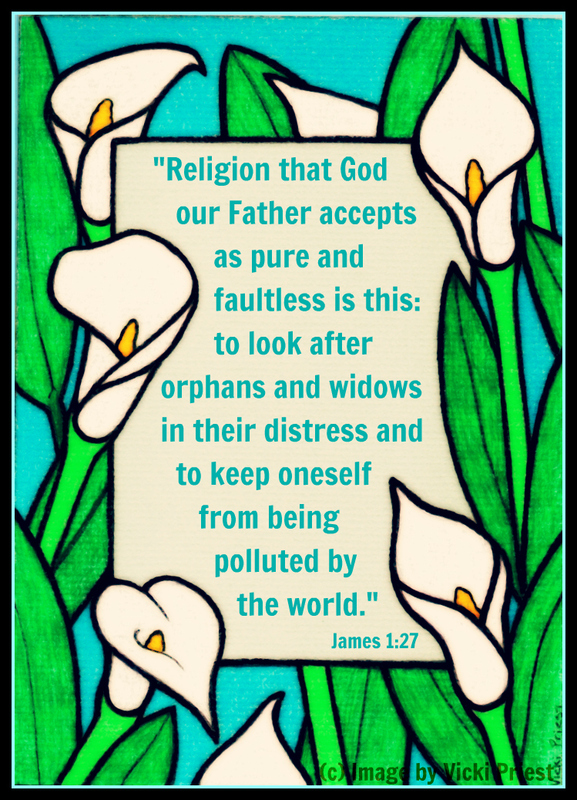 There are no gods other than God, and only He is to be worshiped. All other spirits, if they accept worship, are not of God. All spirits who work with and for God know that only He is worthy of worship. Christ’s blood isn’t for worshipers of various spirits, but for those who worship their creator God and accept Christ’s work. Pujari’s vision in a real world context could have been for his spiritual consideration, whereas someone like Destiny’s atheistic Toland would not receive any such vision, having come to the belief that there is no creation, no purpose, no “spiritual” existence. And one cannot choose sides if one thinks that the sides don’t even exist. Really, with all the mystery and seeming contradictions in the various sources, who knows yet what the writers were thinking or intending. 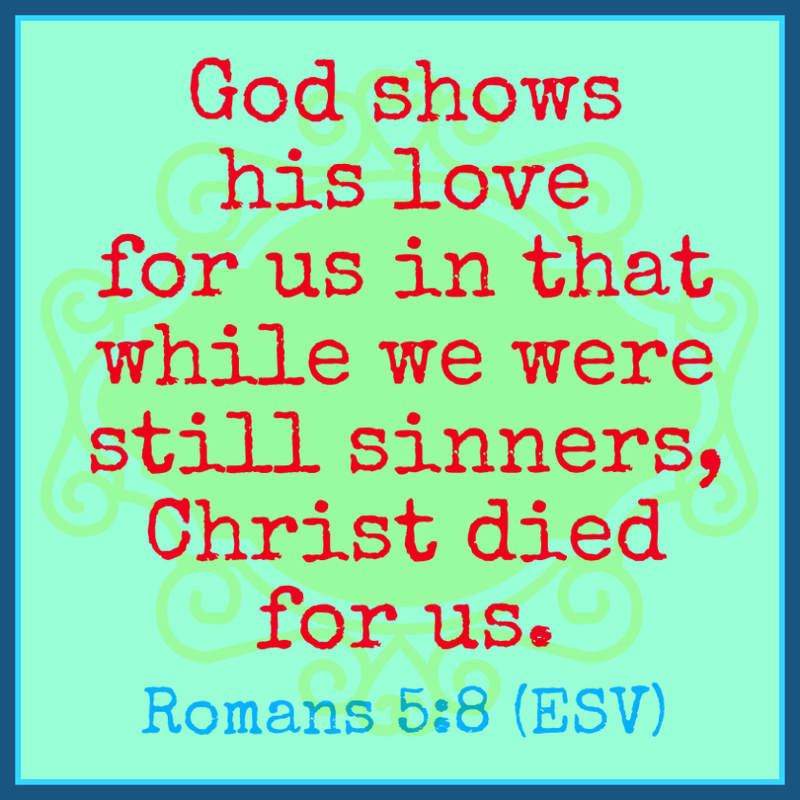 But then one wondrously runs across things like this: . . . . Agape love. Outlier reports include the hum of wind, the scent of lilacs, changes in apparent gravity, the ability to sing perfectly, and the perception of flesh as transparent (Ghost Fragment: The Golden Age 2). It’s a grand mishmash, that is for sure. Considering that much of Destiny’s story is not in-game and is difficult to decipher generally, as Christians we probably can’t get too excited about it—not yet, anyway. Video games in today’s culture—if they have any story at all—represent a microcosm of that culture. That the game seems to argue for the actual existence of good and evil, and that a person (and even a society) needs to choose a side, is indeed something in our modern day relativism. Yet, the story seems to be telling me that there isn’t one single philosophy or religion that is true. That the story brought into play the foundational symbols of God’s redeeming plan for humanity (the blood and wine, even in a garden with a tempter, it seems), is something indeed. Being on the Destiny yo-yo, however, I simply can’t know for sure if what I just wrote means much of anything—another contradictory tidbit of information could come out tomorrow. As a whole, this confusion is not a concept of reality and God from a Christian point of view. Even though there are mysteries, God has reached out to us to tell us the major truths we need to know, and to have relations with us. We’ll see if Destiny moves in that direction. Yes, specifically, you only hear “dialogue.” You never see anyone speak, except vendors (sort-of) and during cut-scenes; there is no actual interactive dialogue in the game. Compared to other games on the market that cost the same as Destiny, Bungie must’ve made an exorbitant amount per man-hour. I could list off some other things that Bungie has done to turn-off players and make themselves look bad, but more useful for this article is a mention of Bungie’s troubles, or perceived troubles, with their story writers and game quality. The game was released in September 2014, but its main writer left in the September 2013, and another quit in August 2014. Rumor has it that disagreement over the story led to parts of the game being cut out, leaving much less of it in-game (the rumor being based on an employee post that was taken down over contract violation). Who knows if any of this is true. For all I know, Bungie could’ve faked the whole thing in order to have more of an excuse for having virtually no in-game story and sticking story details up online instead. Other gamers who know much of Halo and Bungie have commented that the lack of in-game story is actually typical of Bungie, and to learn more of Halo’s story the player had to go to other sources, like books, that made the developer even more money. Ghost Fragment: Mysteries 2, Ingress via dreams alone. 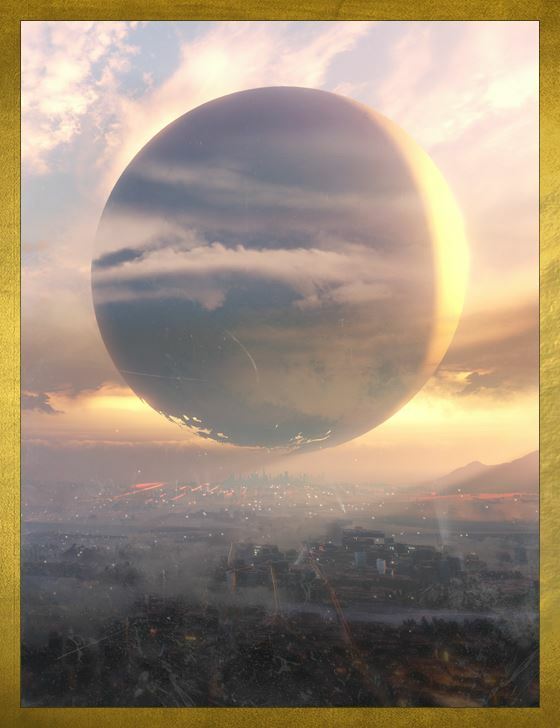 Other information about The Traveler is from Grimoire Cards: The Traveler; Ghost Fragments: Human 2, 3 and 4; Ghost Fragments: The Traveler, Dreams of Alpha Lupi 1 and 2. Grimoire Cards: Legend: The Black Garden; Sol Progeny; and possibly Ghost Fragment: Darkness. Last printed page in Destiny’s “Arms and Armaments” book, given with limited edition preorder.